Knee wrap that connects to the Compex TENS/Heat unit for temporary pain relief. Do you have chronic, sore knees? Help relieve knee pain with the Compex TENS/Heat Knee Wrap. The Compex TENS/Heat Knee Wrap delivers compression, warmth and tiny electronic pulses to help relax and ease knee soreness. Whether your pain is from exercise, household work, work injury or day-to-day activities, select one of the eight pre-designed modes in this TENS unit for quicker knee recover and to help reach your fitness goals. 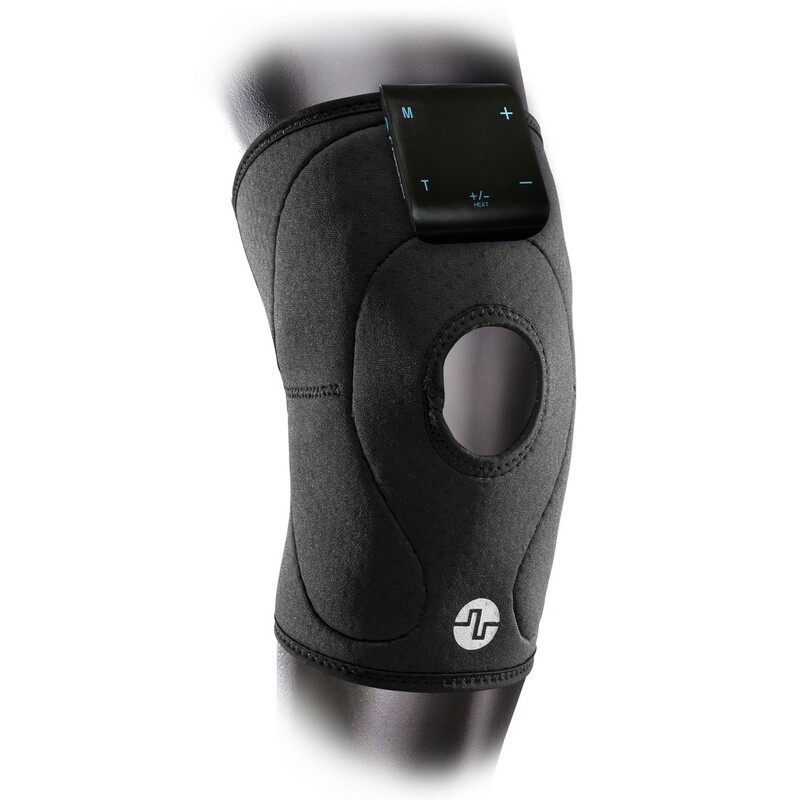 The Compex TENS/Heat Knee Wrap is an open patella knee support that connects to the Compex TENS/Heat Unit. Featuring innovative technology, the Compex TENS/Heat Knee Wrap and TENS/Heat Device offers eight pre-designed modes that temporarily relieve knee pain. The easy-to-use touch screen allows you to choose your mode, intensity, and level of heat. The TENS and heat treatments can be used separately, however, the combination of heat and TENS has been proven to be more effective for pain management. Inches 12 - 15" 15 - 19"
Fits well and is easy to learn. Will fit well under scrub pants.